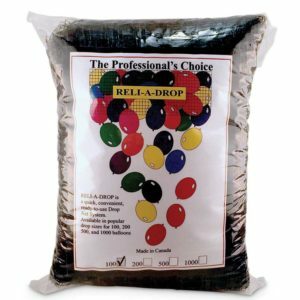 Reli-A-Drop Nets are perfect for doing balloon drops and releases. The nets have a quick release cord attached, which you pull to drop the balloons. Available in sizes which hold a 100,200,500 and a 1,000 balloons. Reli-A-Drop Nets are perfect for doing balloon drops and releases. The nets have a quick release cord attached, which you pull to drop the balloons. Available in sizes which hold 100,200,500 and a 1,000 balloons. Minimum 14 ft. ceiling height requirement. Contains one sheet of 12ft x 3ft netting, ceiling clips, cable ties, and monofiliment line. Holds approximately 200 x 5" balloons. Minimum 14 ft. ceiling height requirement. Contains one sheet of 18ft x 3ft netting, ceiling clips, cable ties, and monofiliment line. 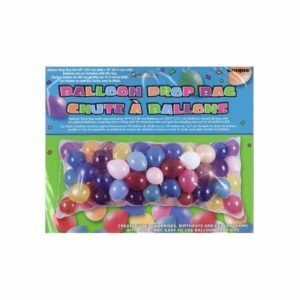 Holds approximately 300 x 5" balloons. 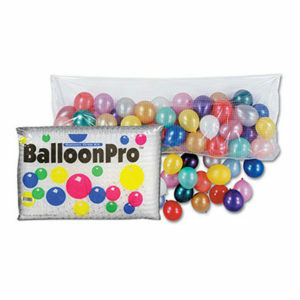 Our balloon Drop Bag holds approximately 70 x 9" Balloons or 150 x 5" Balloons. Simply fill bag with air inflated balloons, hang bag from ceiling with the attached tabs and pull the dangling rip-cord to let balloons fall.